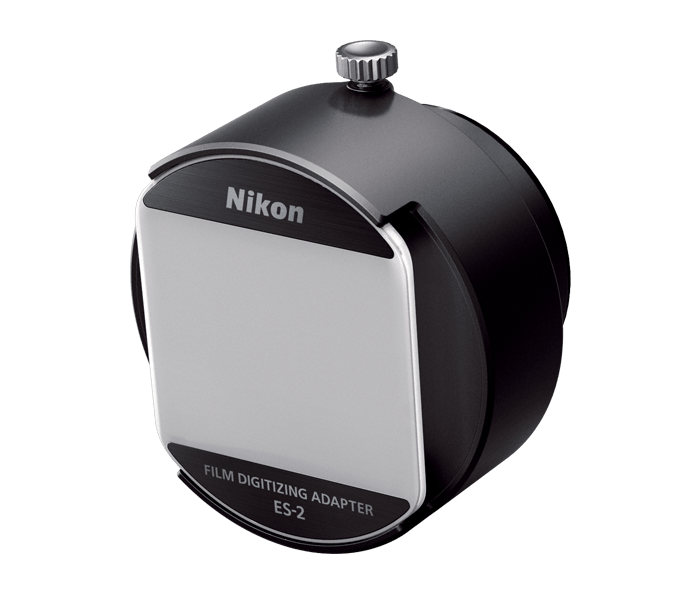 The ES-2 is a Film Digitizing Adapter that lets you easily convert your film images to digital. Taking advantage of the high-pixel count of the D850's 45.7 MP, the Film Digitizing Adapter lets you convert both 35mm slides and negatives to digital files. Using a lens such as the AF-S Micro NIKKOR 60mm f/2.8G ED attached to the D850, the camera's digitizing function automatically reverses the colors and stores them as JPEG images. This once time-consuming process involving a film scanner can be done much more quickly. For negative strips, use the FH-4 Strip Film Holder with the ES-2 and for slides, use the FH-5 Slide Mount Holder with the ES-2.